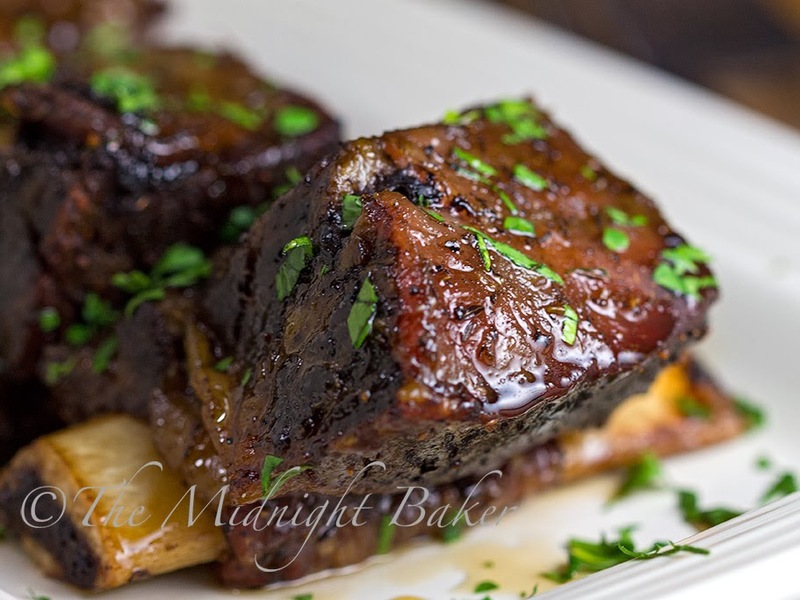 Delicately flavored short ribs with a maple glaze. Easy with your slow cooker! 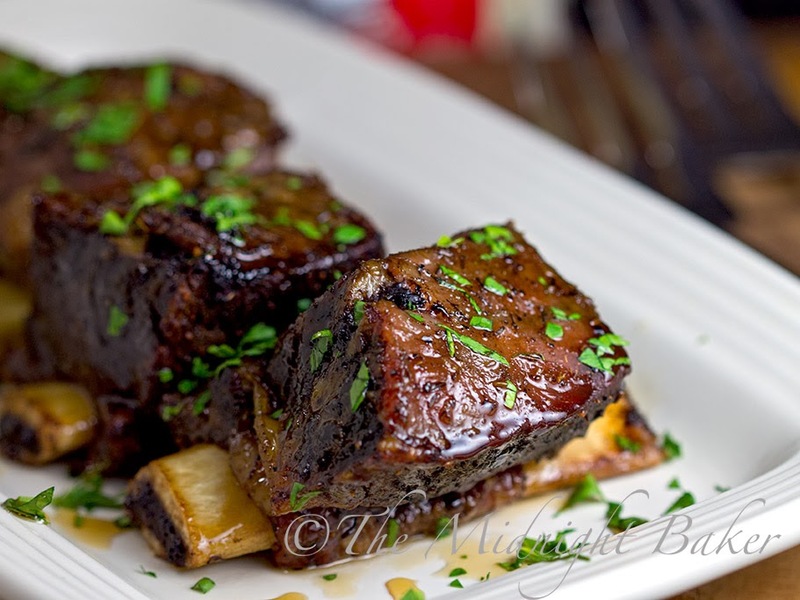 These maple-glazed short ribs have such a wonderful flavor, thanks to the rub. I found this Taste of Inspirations rub in my local Hannaford supermarket. Since I had a grand-opening coupon for $2 off any Hannaford-branded product, and Taste of Inspirations is one of their brands, I figured I’d give this a try because the flavors sounded interesting. Bottle recommended it for pork…and it’s great on that but I’ve used it for chicken and now this beef. Excellent flavor. I liked it so much I sent a bottle down to Sylvia. She used it on fish and said it tasted absolutely delicious! I’ve been wanting to use my crock pot more so I wanted to try doing something with this rub and a maple-y glaze. 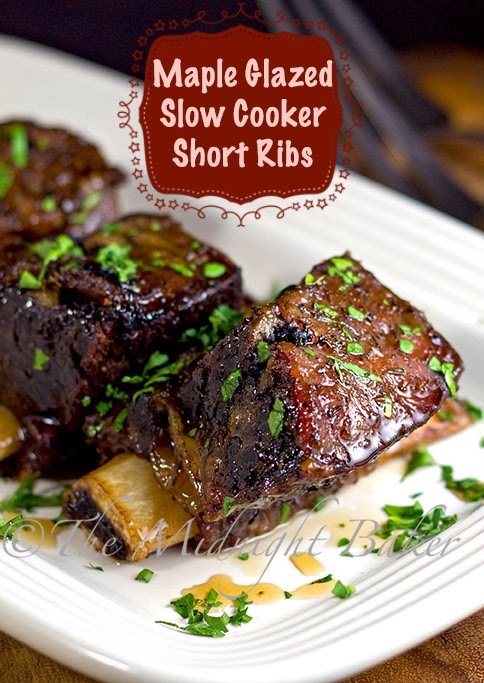 This is a recipe I adapted from a very similar crock pot beef rib one I’d been using for years. That recipe uses a rub, but more of a Creole spiced one, and you roast them same way as this, only you remove the ribs after they’re done, drain the slow cooker of any grease and wipe it dry. Then you place the ribs back in, add a cup of your favorite BBQ sauce, set to HI and cook for another 30 minutes. Try that one too! We also have a little fun giveaway for a bottle of this rub. Enter in the Rafflecopter application at the bottom of the post. If making alternate rub, mix all ingredients in a small bowl. Rub each beef rib well with the rub. Place (preferably) in a single layer in a 5-7 quart slow cooker. Set cooker to HI and cook for about 4-5 hrs. Glaze ribs with maple syrup and pop under a preheated broiler (optional) for about 3 minutes to crisp. I would use this as a rub on a pork tenderloin! I think that would be delicious!! I would use this rub on some ribs. Yummy! Kara–any good rub will do on these, and even a glaze of honey can take the place of the maple syrup. They are just so good ANY way you flavor them! I am always looking for a new recipe/excuse to use my slow cooker. Thanks! I would use it when I roast a pork. Think it would add tons of flavor. These were outstanding! 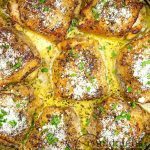 I made my own alternate rub, subbing 1 tsp. maple sugar for the extract. Thank you for sharing! I bought my short ribs and want to make this today, however every recipe I read about short ribs says to brown on all sides first before adding to the crockpot. Why didn't you include this step in your recipe? Chelsie it's not necessary for this one. The come out lovely, crusty and brown. 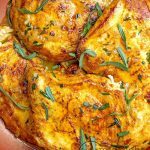 How would you add carrots and potatoes to this recipe in the crock pot? I would just add them in with the short ribs Danielle. They should roast up nicely. I never do that so I really don't know what to tell you–when I cook veggies in the crock pot, I generally add a bit of water. You'd be safe doing it that way, but the ribs really wouldn't "roast" if you know what I mean. But it doesn't mean it wouldn't be delicious–more like a pot roast then. only use for this recipe. The recipe sounds delish. Hi Terri–you could maybe skip that in the rub without too much flavor loss. Then just use more maple syrup to glaze it. That's really where the taste is. You won't be sorry!!! These are amazing even without the glaze and no work at all!! This looks delish … 1 question … did you place the ribs bone down or meat side down? I usually place them bone side down, but sometimes they flip over during cooking. Great results though. I never knew you can use a slow cooker without any liquid. Just to clarify I would be putting the ribs in with nothing else but the dry rub and they'd still turn out tender? HI Karen–yes, you don't add any liquid. In the cooking process, liquid will accumulate (which I generally drain with this because it's primarily fat). They come out tender and juicy. You only have these short ribs to cook on high is that correct? Yep, and no water either. Come out perfect. I rarely use low setting as I find high produces better results with most everything. I usually serve them with either oven steak fries (or regular french fries) or mashed potatoes and a plain steamed veg. Keeps it simple and doesn't really mess with the nice full flavor of the ribs. Yum! Just made your recipe but used Country Style Boneless Pork Ribs and made half your recipe for the rub and used it all. Invest in the maple flavoring. It makes the ribs SO good and the house smells amazing. 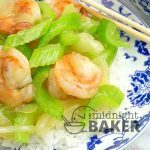 Plus, you WILL use this recipe again! It's that good! Used my fat separator with the drippings and made gravy (without the fat, of course). Served with potatoes and salad. Great meal! Woo hoo!!!! Glad you loved it! Judith, these look delicious and perfect for me since I do not do pork. Thanks Peter and Happy New Year to you! Hope the family is well. I did this recipe and used baby back ribs in the crockpot! DELICIOUS!! No leftovers…. I love the idea of pork!! Never thought of it…thanks so much and glad you all liked these! Found this recipe on Yummly and so happy we did! 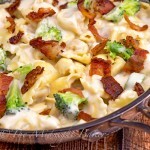 We have been trying recipes to test out our new slow cooker and this is a winner that will be made again. It was sweet and savory at the same time – loved it.